Do you remember when mobile phones were the size of a brick? Back in the 80s, they certainly weren't very portable and only the well-to-do could really afford one - which certainly wasn't me! 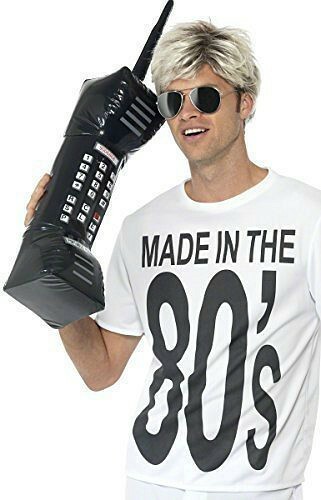 For this post, I bring you this over-sized, blow-up 80s style brick phone. It's a fun accessory that is ideal as an 80s party decoration or as an addition to a fancy dress costume. Thankfully, the price isn't as huge as the phone! 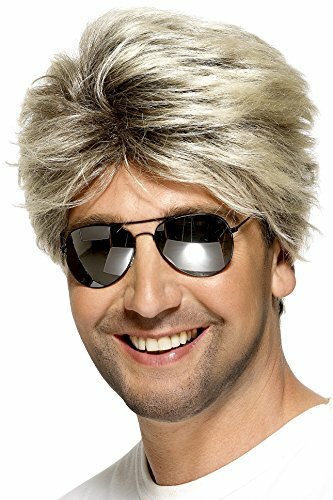 You can create a quick and easy 80s costume like the one above using a Made in the 80s T-shirt, Don Johnson/George Michael Wig and cheap aviator shades. You can also buy a ready-made costume, although it doesn't include the wig. Of course, it doesn't have to be that particular T-shirt, and you can find oodles of ideas at our website 80sfancydress.net. 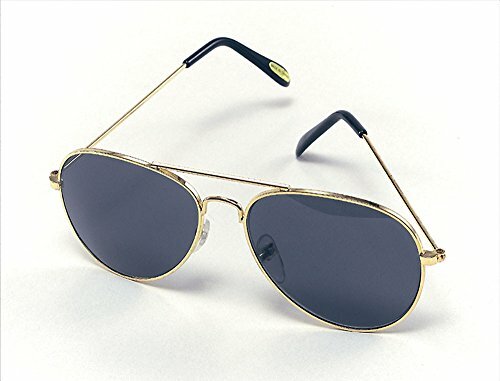 Alternatively, wear with an office shirt, tie and braces for a YUPPIE look, and you could even add some wayfarer style geek glasses. If you have a pin stripe or check suit to hand then that would be ideal, too. 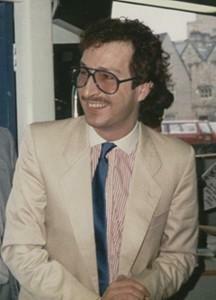 Wearing a striped shirt with a white collar became popular in the 80s, and I remember Radio 1 DJ Steve Wright often wearing one with his huge glasses. I do remember wearing a thick striped shirt myself during the latter half of the 80s. However, any striped or plain, long sleeve shirt will suffice, as it is the braces that really give the YUPPIE look. 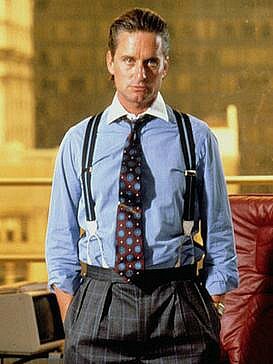 This image of Gordon Gekko in the 1987 movie Wall Street gives a good indicator of what YUPPIES wore back in the day. Check suits were very popular and have become very fashionable again in 2018. I certainly remember wearing a grey check suit with turn-ups. You may like to add this amusing 'Yuppies do it with a filofax' pin badge. 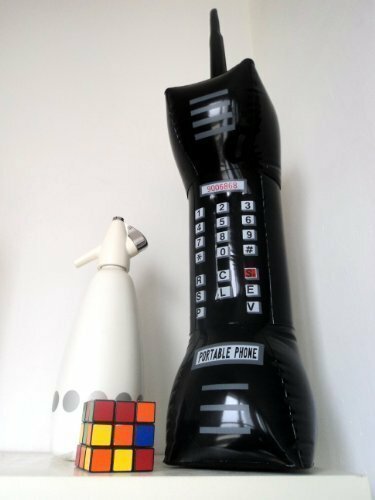 The inflatable phone could be be used to enhance other 1980s costumes, though, and will be a great talking point at a party.